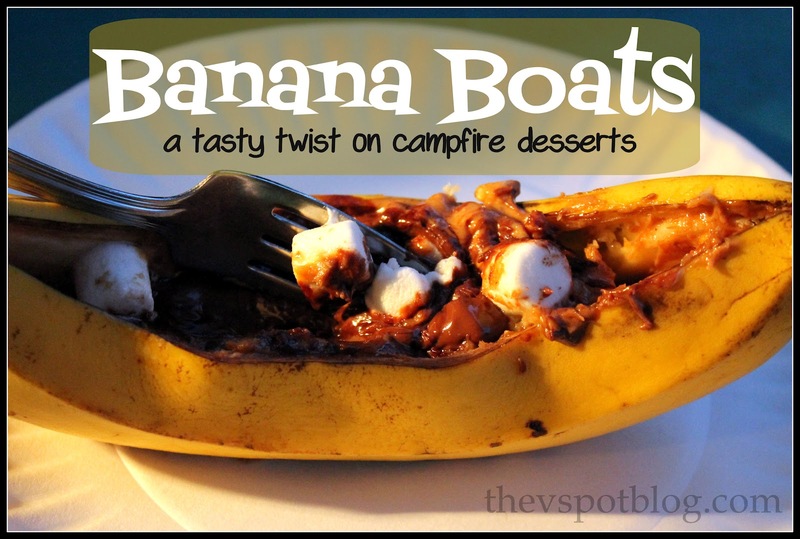 Banana Boats… a tasty twist on campfire desserts. I’ve done plenty of camping posts and dessert round-ups, but a few months ago I heard about “Banana Boats” and I knew we had to give them a try on our next camping trip. These were yummy and SO easy to make! You will need: a few bananas, mini-marshmallows, peanut butter, chopped chocolate (or mini chocolate chips) and foil. 1. Make a length-wise slit in the banana, but don’t cut all the way through. 3. 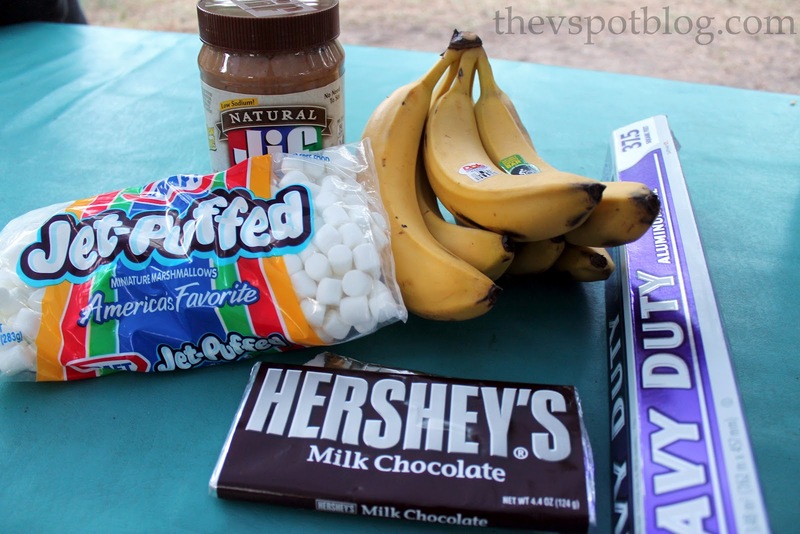 Fill with peanut butter, chopped chocolate and marshmallows. 4. 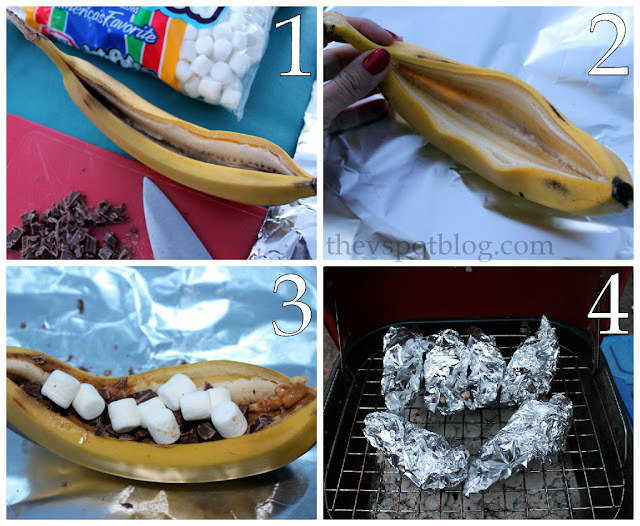 Wrap with foil and place over low coals. Unwrap and eat when they’re warm and melty. Holy yummy! Pinning this one ASAP! my comment just disappeared but here goes again. they taste wonderful with butterscotch chips for anyone who is like me and allergic to chocolate. the butterscotch would also be good with the previous writers suggestion for peaches. the great part is that no one has to wash dishes with this wonderful gooey dessert. they also make up in the home oven with foil and the MICROWAVE with parchment wrap. 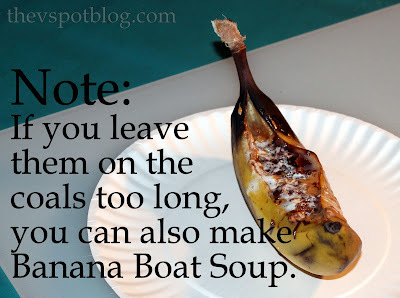 thanks for reminding us about this great dessert.